Jeanetta Van Der Kamp, daughter of Rennier and Sarah (Vander Leest) Dieleman, was born September 28, 1921, near Sully, Iowa. 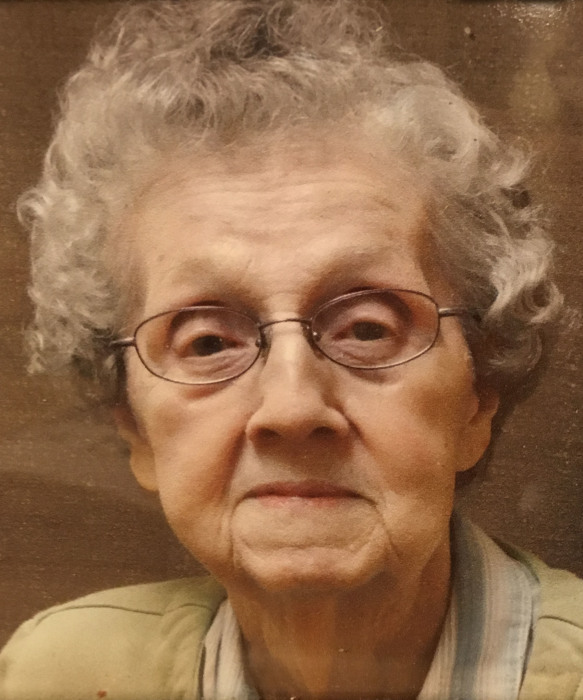 She died Monday, January 14, 2019, at the Newton Village Health Care Center in Newton, Iowa, at the age of ninety-seven. Jeanetta grew up in the Sully area and received her early education at Sully Christian Schools. On December 24, 1941, Jeanetta was united in marriage with Floyd Van Der Kamp at the First Reformed Church parsonage in Sully, Iowa. They were blessed with three children: Gary, Judy and Steven. Floyd and Jeanetta moved to Pella in 1979 and she started working at Pella Corporation, retiring in 1987. In her spare time, she enjoyed sewing, embroidery and flower gardening. Floyd and Jeanetta were members of the Trinity Reformed Church in Pella. She is survived by her three children and their spouses: Gary and Linda Van Der Kamp of Newton, Judy and Donovan Harthoorn of Sarasota, Florida and Steven and Judy Van Der Kamp of Ames; five grandchildren: Tamera and Mark Chew, Tracy Hamilton, Jeffery Harthoorn, Bradley Botos, and Jill and Darrin Frey; eight great-grandchildren: Samantha Harthoorn, Cody Hamilton, Tyler Hamilton, Tiara Chew, Victoria and Johnna Botos, and Parker and Avery Frey; sister: Erma Ver Ploeg of Arizona; nieces and nephews; and many dear friends. Jeanetta was preceded in death by her husband, her parents, her parents-in-law Paul and Gertie Van Genderen Van Der Kamp, sisters: Velma Van Der Kamp, Helen Van Der Zyl, and Margaret Bullington; brothers: Harold Dieleman, Clifford Dieleman, Clarence Dieleman, and Marvin Dieleman.